Place all ingredients in a small container. This recipe can be made in smaller or larger quantities simply by adjusting ingredients proportionally. If you increase the recipe (or only need to season one pound of meat), store extra in an airtight storage container. Feel free to weaken ingredients to taste - for example, feel free to increase or reduce the pepper if you prefer a milder or spicier flavor. Simply increase another item in proportion to any additions or reductions you choose to make. Add entire recipe to prepared ground beef. Stir in water or canned tomatoes with green chiles. 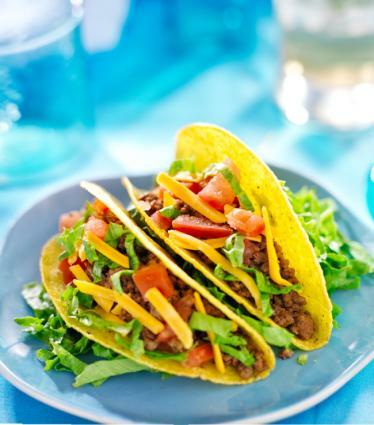 Use prepared taco meat made with homemade seasoning for tacos, burritos, or other Mexican recipes. A couple great options to consider are taco salad and taco casserole.